Show prep is continuing on our duckbill! Time for a little background information. Gil, AKA RMDRC 04-001, was discovered in 2004 by and is named in memory of "JC" John Cully Gilpatric, who sadly passed away 2 years ago. 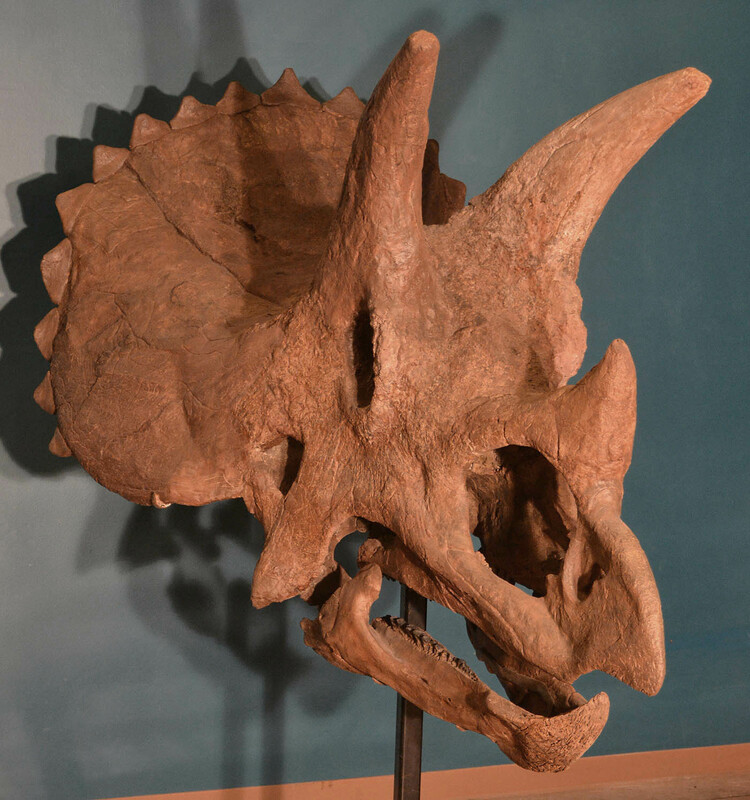 It comes from the upper Judith River Formation, putting its age somewhere around 75 million years old. Excavation began on June 26, 2004 and had been completed by July 2nd. Gil wad found in a fairly soft sandstone with low overburden, which greatly sped up the recovery. 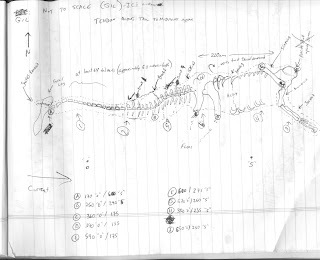 Above is a sketch of the site when TPI field crews excavated it that summer. As you can see it is highly articulated but missing the skull and lower legs. Unfortunately for hadrosaurine hadrosaurs those also happen to be the most distinctive parts, so identification down to genus is still a little tentative. We have been considering Gil to beling to Miasaura, however there exists the possibility that It could belong to two other non-crested duckbills that existed at the same time: Gryposaurus or Prosaurolophus. Below is a photo of the 54cm long right humerus, which may or may not be distinctive. In any case it's pretty, and also slightly longer than the radius. Prep work is ongoing to find more distinctive skeletal elements, so that we may get a better idea of the true identity of this critter. Special thanks goes out to Dr. James Kirkland for providing PDF reprints so that I may attempt to clear this up! Duckbill tails from the past! We've been able to do a slight bit of preparation on a Maiasaura that was collected by TPI crews in 2004 from the upper Judith River Fm of Montana. Unfortunately no skin was discovered preserved in this jacket, however there were a few surprises. The anterior 6 vertebrae show pathological neural spines, perhaps an old bite wound that healed. The chevrons (Y-shaped bones under the tail) are tiny, much smaller than what would normally be expected on a dukbill of this size. This jacket contains 32 articulated caudal vertebrae in a string nearly 8 feet long. Strangely the chevrons are all nearly gone and the ossified ligaments normally found in ornithischian dinosaurs are completely missing. The rostrum of this rare fish is the most commonly discovered part recovered, mostly because it is the densest and most durable bit, and most likely to be found after weathering out of the outcrop. The teeth are tiny and resemble small barbs, though they number in the thousands. We may have found postcranial material with this fish as well, and a recovery operation at the site will be attempted next time we go to Kansas, though that may be a few months. Martinichtys seems to have gone extinct between Marker units 5 and 6 (this specimen is the highest one I can find data for, about 1m below MU 6), as do several other animals int he Niobrara (such as Thryptodus, Tylosaurus kansasensis, and several invertebrates). I am curious what happened to wipe these species out.